And here we come to the big list, my Top 10 Films of 2015. 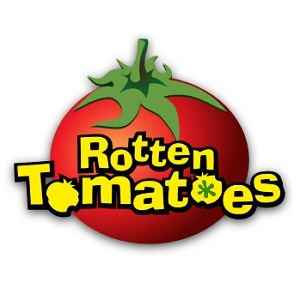 As I think back on the year that was, I'm reminded of an article by the great Courtney Small of Cinema Axis, who opined that too many cinephiles were being unfair to the year's films, claimint that they were "good" but not good enough. From where I stand, I would tend to agree with the masses that there weren't as many stone cold masterpieces as in year's past. But Courtney does raise valid points however, as the year was far from disappointing for me. By my estimation, no less than 30 films merited a 4-star rating, which certainly suggests a satisfying year at the movies indeed. As for the outstanding films below, they reflected a year full of unexpected gems, just like the year's best performances. In a year when personal faves Ridley Scott, Joe Wright and Steven Spielberg brought new work to the table, my Top 10 instead comprised of 2 debut features, 2 documentaries and a wealth of variety in genres, countries and themes. And defiantly perched above them all was a trangender comedy that was shot on an iPhone. If that doesn't excited about the future of cinema, I don't know what will. 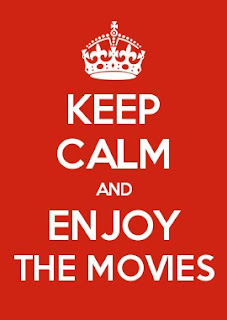 As we look towards another year, I therefore put forth the mantra to "Keep Calm and Enjoy The Movies". Too often critics over-analyze the art of films and forget that films are also entertainment. So without further ado, here are my Top 10 Films of 2015, complete with gifs (we don't have the budget for a David Ehrlich video, sorry) and quotes from my reviews. "'Girlhood' is an engaging character study and one of the more honest depictions of adolescence in recent years." "'Fruitvale Station' was clearly just the warm-up for Coogler, who has now delivered a superlative knockout from top to bottom." "With the aid of evocative imagery and a compellingly conflicted, deeply concerned citizen at the center, 'The Armor of Light' is a passionate, thought-provoking and essential work." "This uncommonly disciplined sci-film is sure to have you rapt in its exploration of intelligence and emotion, of both the human and artificial kind." "'Spy' once again proves why McCarthy is one of Hollywood's most valuable stars." 5. What Happened, Miss Simone? "In a year filled with many outstanding documentaries about troubled artists from different mediums, 'What Happened, Miss Simone?' stands tall. "Terence Malick meets Sam Peckinpah in this stunningly photographed and unflinchingly violent Western." "Fans of classic cinema will surely appreciate John Crowley’s heartfelt new film 'Brooklyn', which successfully invokes the spirit of the romance dramas of the Golden Age." "There’s a meditative serenity to Guerra’s direction, culminating in a final sequence which elevates this transcendent masterwork to a near-religious experience." "Eschewing all the rules and constraints of period trappings and Oscar-baiting refinement, the film kicks the notion of "prestige" to the curb and gives you drama with a capital D."
That, alongside The Revenant and Ex Machina, are currently in my top 5. LOVE them. Nice diversity of genre here. Really glad to see Creed and Ex Machina make the cut.